Woven in New Zealand from 100% pure fine Mohair fiber, the beautiful Brushed New Zealand Mohair throw has a luxurious high pile and soft hand. The exceptional qualities of Mohair fiber combined with masterful craftsmanship create this heirloom-quality accent throw. Natural warmth, elegance, and luxury. 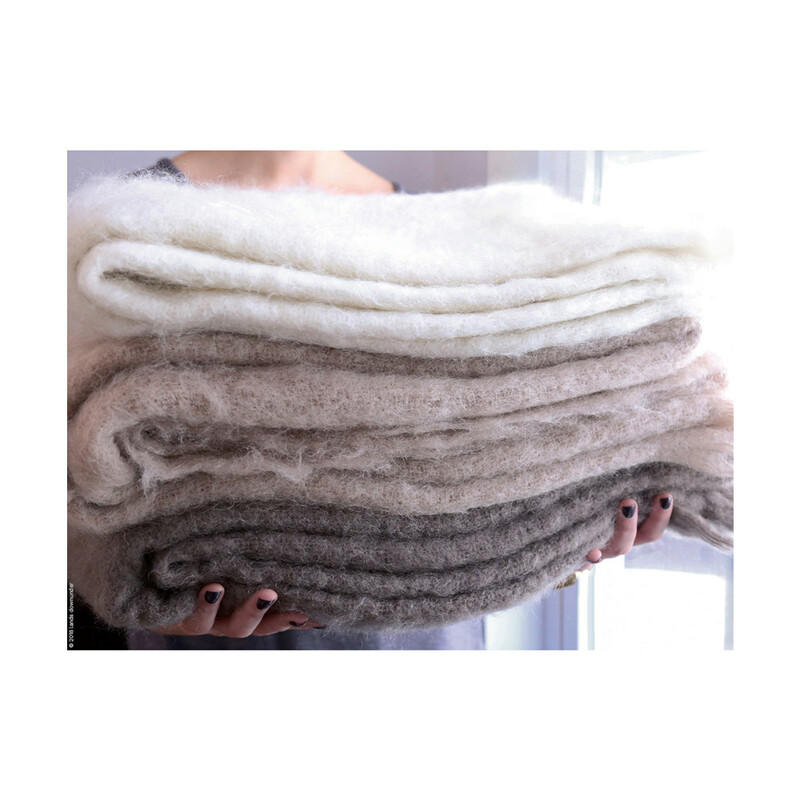 Woven in New Zealand from 100% pure fine Mohair fiber, the beautiful Brushed New Zealand Mohair throw has a luxurious high pile and soft hand. The exceptional qualities of Mohair fiber combined with masterful craftsmanship create this heirloom-quality accent throw. Natural warmth, elegance, and luxury. 100% pure Mohair 41 colors 51 x 72 inches Made in New Zealand See product label for exact care instructions.